There's something really important for you to know about me. Ever since becoming a mama, it has become more and more likely that I end up with tears during while I am photographing your brand new baby or darling family. I don't know what it is about having children, but they've made me into more of a softie than before! Each time I photograph a new baby I am completely in awe of the creation of new life and the blessing that it is! When I'm not creating photographs or editing recent shoots, most of my days are filled with chasing around my preschool-aged twins, toddler baby, and making sure there are plenty of giggle-filled moments in my home! I am a dreamer and a follower of Jesus. I am an entrepreneur and a lover of beautiful moments. I married my husband after dating for two months and being engaged for three. #whenyouknowyouknow I believe in living life to the fullest, and truly thriving in whatever role or responsibility comes my way. I am a midwestern girl at heart, though Kansas City sure could use a few mountains if you ask me! I believe in the power of a simple smile and kindness without expecting anything in return. I rarely go a day without dark chocolate. Morning runs are my favorite. Some days I love getting all dressed up just for the joy of it, and other days I can be so content to live in my yoga pants and hair in a messy top knot. I believe that love is powerful and contagious, and that every family has a unique story to share. These stories will be passed down from generation to generation as a powerful legacy. And how even more powerful to have timeless photographs passed down that mark these stories! 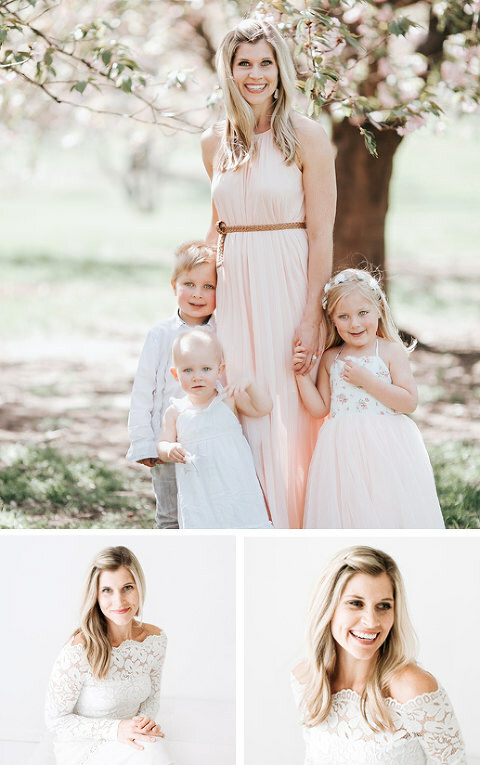 As your photographer, my bottom-line goal is for you to fall head-over-heels in love with your photos, and that they may forever remind you of the beauty and blessing of family. If you connect with my style and vision, let's chat! I'd love to get to know you and your family's story and brainstorm the best plan to capture your family in this season of your lives!